Very Quick & Easy Dinner Idea! Happy Tuesday! 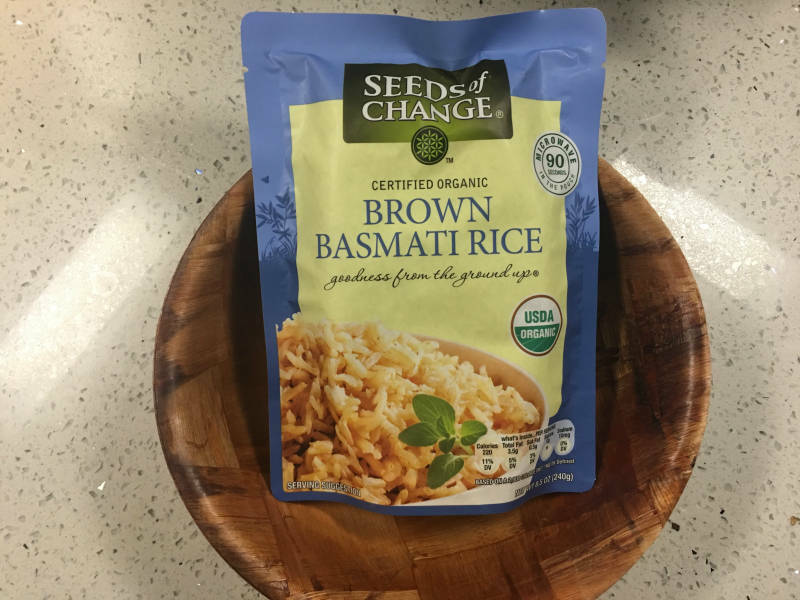 Today I want to share a super simple dinner idea. This literally takes 60 seconds to prep and then 15 minutes to cook. It’s BBQ pulled chicken … made on the stove super fast but with lots of flavor. Normally I make pulled chicken in the crockpot but that takes a few hours, and sometimes I need my food ready faster than that. Here’s what I do when I need to whip up this meal in the blink of an eye. 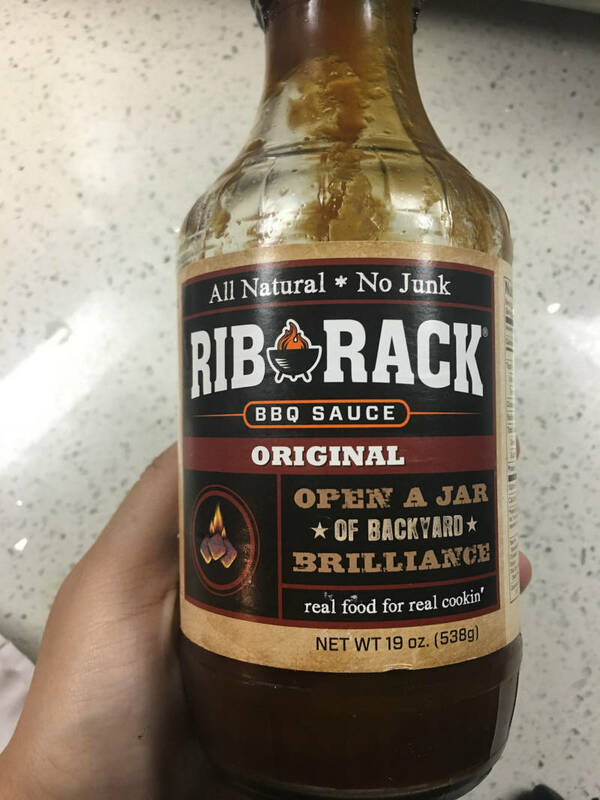 Adam’s favorite BBQ sauce is Sweet Baby Rays and mine is this one from Rib Rack, so I combined the two for this recipe :). You can obviously use whichever BBQ sauce you like best. 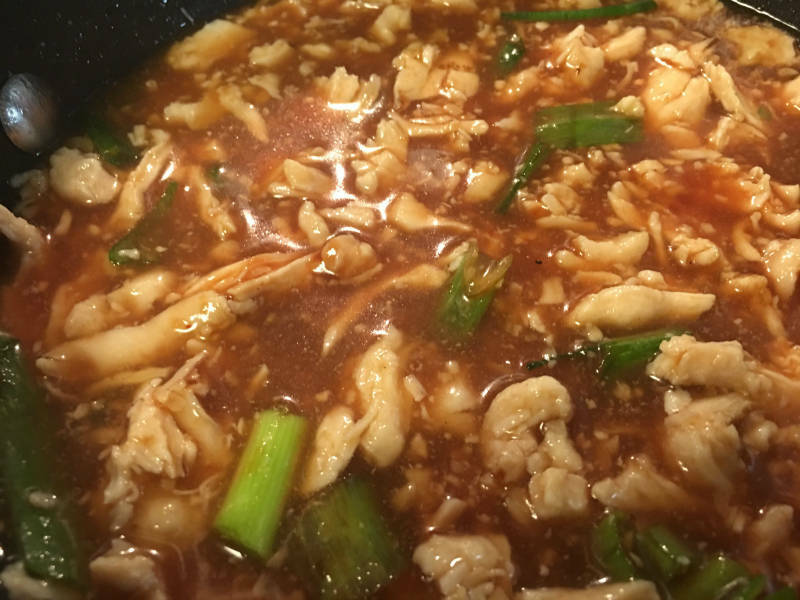 Chop a bunch of green onion and toss in with the chicken. Add in enough water to cover the chicken (about 1 to 1.5 cups). Add more water if you like your pulled chicken soup-y. (I DO). Add in as much (or as little) garlic as you like – I added 2 tablespoons. Add in 1 and 1/2 cups of BBQ sauce and cook on med-high heat for about 15 minutes. 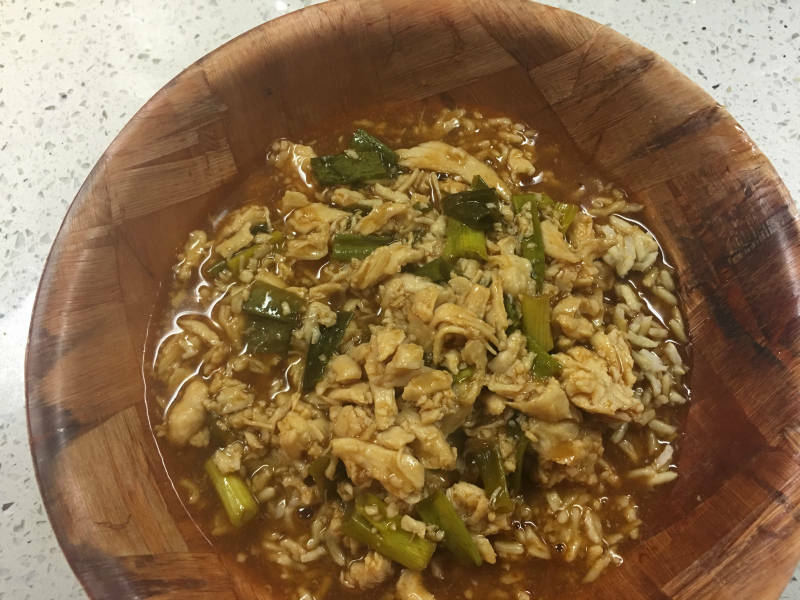 When the chicken is simmering and almost ready for serving, pop a bag of easy rice into the microwave. Once the rice is done, pour it into a bowl and then cover the rice with the pulled chicken and ENJOY! I like my dish a bit soupy so I add extra water which is why it looks quite wet here — but MMMMMMM it’s so good! Just added less water if you want your sauce to be thicker. Clearly this isn’t an original recipe, but I thought maybe you’d enjoy a little mid-week dinner idea inspiration. Honestly, buying the chicken pre-pulled and pre-cooked makes whipping this up a breeze. Coupled with the 90 second rice and you’ve literally got yourself a meal in less than 20 minutes. What are you planning for dinner tonight? Do you have go-to meals that you can whip up in less than 30 mins? Previous Post 5 Monday Updates! Next Post BIG Training Progress Update! Sweet baby rays, Adam and I are practically twins lol. That’s the bbq sauce we use also. We do ours in the crock pot and let it slow cook all day but now I want to try it over rice. Looks delicious. Paul and Adam have the same favorite BBQ sauce!!! I will admit Ray makes a good sauce! It was my favorite for a long time too! That looks really good. 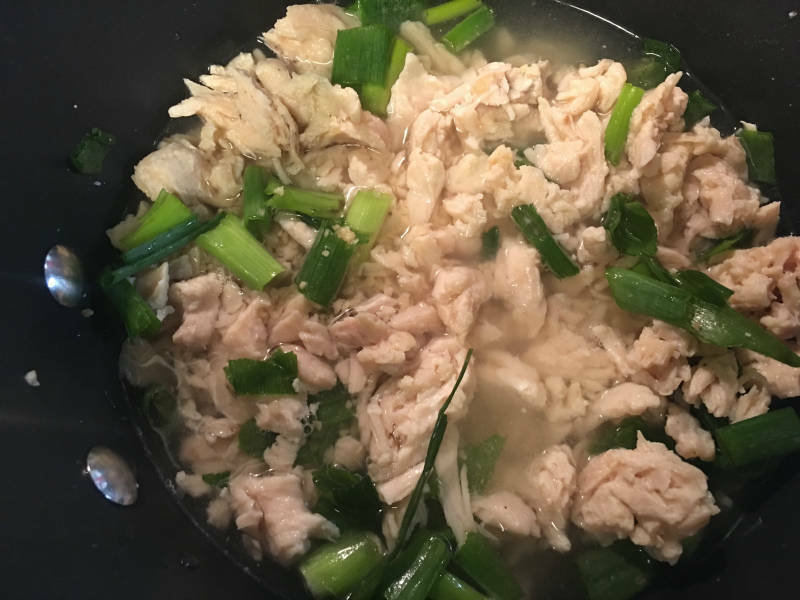 I definitely have to see if our store carries the shredded chicken (small town) because I am all about easy! Tacos are my “go to” meal lately — I’ll brown the meat and season it in advance — then have all the toppings ready to go in the fridge. It means just warming & assembling and we are eating in less than 10 mins! I’ll do ground turkey or lean ground beef — and even if I have to brown the same night it’ll be ready in 20! Ohhh that’s such a good idea to brown the meat in advance. Adam and I are BIG taco lovers so it would be nice to have them more often. That’s such a great tip, thank you! 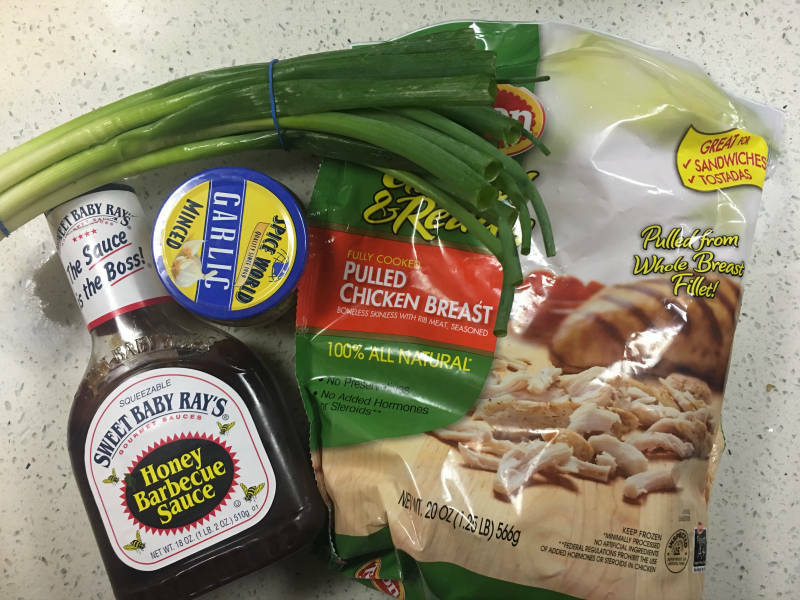 Ironically I have a BBQ chicken recipe cooking away in my crockpot today! It is the first time I’ve tried this recipe so I’m hoping it turns out good! Mmmmmm enjoy!!! I bet it’s so nice to eat something warm out of the crockpot when it’s cold outside. It was 85 degrees here today so I don’t know anything about that haha! Wow! This looks delicious. I’ll definitely be trying this out soon. Wow this looks yummy! Thank you for posting this. I love how this is full of flavors, knowing that it has an asian twist to it. Will definitely try and come back to check more of your recipes. Cheers!